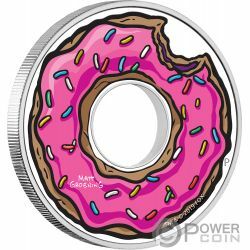 This incredible 1 Oz Silver coin is dedicated to the famous Donut of the longest-running primetime scripted show in television history, the Simpsons. 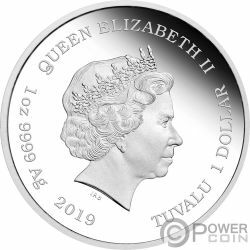 The coin features a beautiful cut-out to resemble a donut, has a wonderful colouration, has a Proof quality and comes packaged in a themed case, along with the Certificate of Authenticity. Limited mintage of 3.000 pieces worldwide! The Simpsons is an American animated sitcom created by Matt Groening for the Fox Broadcasting Company. The series is a satirical depiction of working-class life, epitomized by the Simpson family, which consists of Homer, Marge, Bart, Lisa, and Maggie. The show is set in the fictional town of Springfield and parodies American culture and society, television, and the human condition. The family was conceived by Groening shortly before a solicitation for a series of animated shorts with producer James L. Brooks. Groening created a dysfunctional family and named the characters after his own family members, substituting Bart for his own name. The shorts became a part of The Tracey Ullman Show on April 19, 1987. After three seasons, the sketch was developed into a half-hour prime time show and became Fox's first series to land in the Top 30 ratings in a season (1989–90). 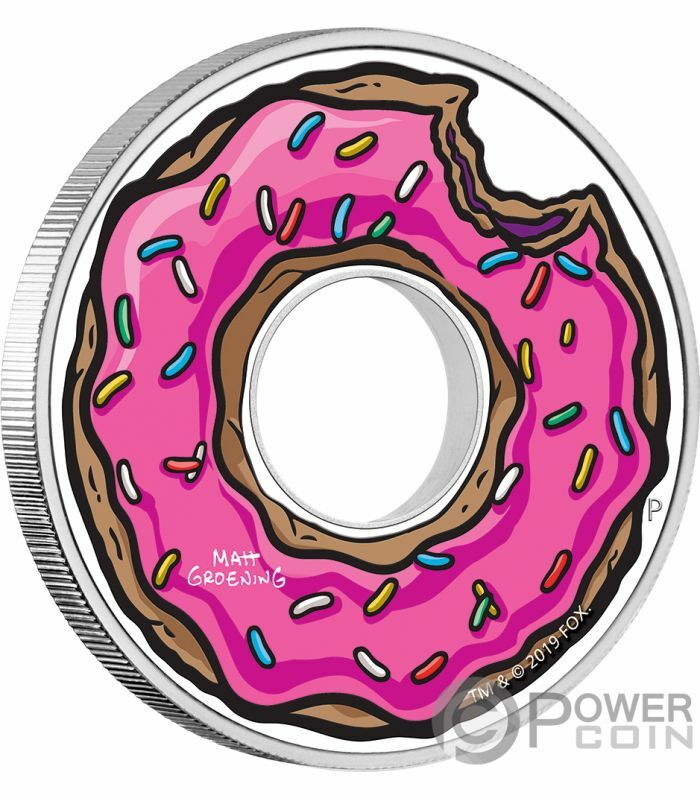 The reverse of the coin depicts Homer’s iconic pink-frosted donut with sprinkles and a bite taken out of the top right corner. 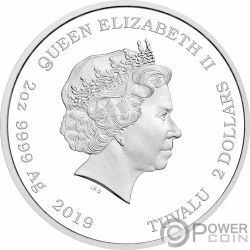 The design also includes Matt Groening’s signature, and The Perth Mint’s “P” mintmark. 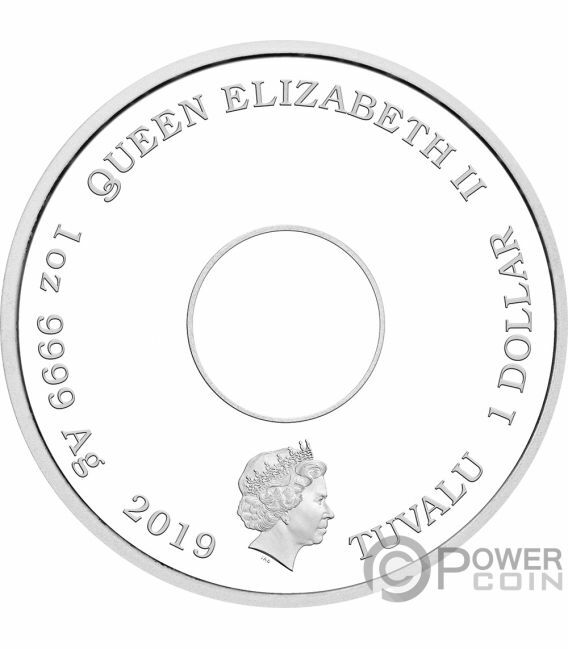 The obverse of the coin features the effigy of Her Majesty Queen Elizabeth II and the inscriptions: “QUEEN ELIZABETH II” – the name of the Queen, “1 DOLLAR” – the face value, “TUVALU” – the issuing country, “2019” – the year of issue and “1oz 9999 Ag” – the weight of the coin and the fineness of the Silver.